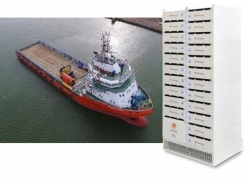 Corvus Energy has been selected by Seacor Marine and Kongsberg Maritime to supply lithium-ion-based energy storage systems (ESS) for four platform supply vessels (PSVs) being retrofitted with hybrid power systems. The Orca Energy ESS from Corvus will supply electrical power to the electrical network of each PSV’s propulsion and dynamic positioning system. All four PSVs are owned by Mantenimiento Express Marítimo SAPI de CV (MEXMAR), Seacor Marine’s joint venture in Mexico. A Corvus Orca ESS will first be added to the Seacor Maya PSV, which is due to have its retrofit completed this month (February). By July 2018, hybrid power retrofits will be completed for three additional Mexico-based Seacor vessels: the Seacor Azteca, Seacor Warrior and Seacor Viking. Typical vessel operations will utilise the batteries to provide spinning reserve during operations such as dynamic positioning, as well as to provide support for peak shaving. 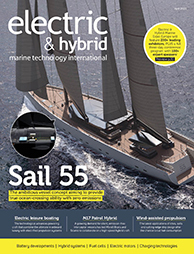 “We are confident in the energy-saving and safety elements of the Corvus Orca ESS for Seacor Maya and keen to start migration of more of our vessels to this unique, environmentally friendly and highly efficient power solution,” said Tim Clerc, manager of engineering, Seacor Marine.